The month of March just flew by! We had great St. Patrick’s Day celebrations. That pesky Leprechaun played some tricks on us and left us some gold coins and glitter to know he was there. Thank you for all the treats that were sent in to add to our celebration! 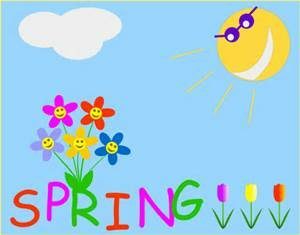 We are looking forward to a wonderful spring together, and in addition to our regular activities with letters, numbers, shapes, and colors, we’ll also be getting outside as much as we can as the weather warms up. We ask that the children not wear open-toed shoes, flip flops, or sandals to school, as these can be unsafe for the playground. Thank you for your help! The 40 Days of Giving food drive is underway, our preschool families have been asked to donate boxes of any type of instant pudding or Jello. Please send in any donations that you would like by Thursday April 4th. Thank you for each and every donation! 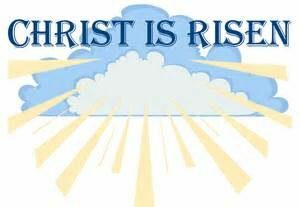 We would like to wish everyone a very Happy and Blessed Easter! A note from the office: Please be aware of your speed when entering and exiting the school parking lot. I am happy to let you know that our head room mom this year is Mrs. Donna Trihn (Samuel’s mom). Mrs. Sarah Cunningham (John’s mom) will be creating our class yearbook this year! April 16- Easter Egg Hunt- Please send in 18 filled Easter eggs for the egg hunt. The eggs can be filled with candy, snacks, toys, or stickers. No Peanut butter products please. Parents may join us at 11:00 am for a special Easter snack and our egg hunt! If you, or another adult, are unable to attend, please let me know. I am so happy to let you know that we have two room parents this year! Mrs. Beth Shaw (Mason’s mom) and Mrs. Heather Roberts (Avery’s mom). 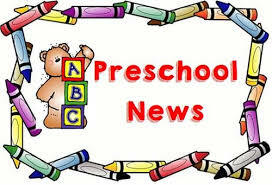 Mrs. Maria Colonna (Carmelina’s mom) will be creating our class yearbook this year! April 17- Easter Egg Hunt- Please send in 25 filled Easter eggs for the egg hunt. The eggs can be filled with candy, snacks, toys, or stickers. No peanut butter products please. Parents may join us at 11:00 am for a special Easter snack and our egg hunt! If you, or another adult, are unable to attend, please let me know. Please make sure you are practicing your address and phone number with your child! Our whole school participates in a program known as “Fruits of the Spirit.” A different Christian attribute is chosen each month and children from each grade level are nominated by their teachers for exemplifying those qualities. In preschool we call this recognition, a “Pat on the Back.” Each month we choose 1 preschooler from our class to receive a Pat on the Back! Ms. Sole, our school counselor, will come into our classroom, explain each virtue with the help of the children, and then present our awards to our recipients. The children soon know the reason for Ms. Sole’s visits, love to be recognized, and learn a little bit about those virtues and what it means to emulate them. These Christian attributes are: Goodness, Peace, Kindness, Joy, Patience, Love, Gentleness, Faithfulness, and Self-Control.